This week, the Queensland Government finalised their repeal of the Wild Rivers Act. Introduced in 2005 by the Labor government, the Act aimed to protect Queensland’s 13 pristine rivers from the threat of bauxite mining, CSG drilling, major irrigation plans and damming. The Queensland Government had its repeal in their sights for some time. A draft Cape York Regional Plan was released by the new LNP government in November 2013 which outlined a plan of economic growth through industrialisation, resource sector development and the removal of existing ‘green tape’. Described it as“flawed, a fraud and a fail”, the government was accused of ignoring areas recognised for their ecological significance, and weakening existing protections. The draft plan evolved into the Regional Planning Interests Act, which will replace the Wild Rivers legislation. According to QLD Environment Minister Andrew Powell, the strict environmental protections of Wild Rivers will be maintained, but he does not go so far as to say mining and industry will be ruled out. Under the new legislation, formerly protected zones are called ‘Strategic Environmental Areas’. Planning approvals for these areas will now be made by either local or State-level government, depending on the nature of the development. While these areas will be protected from some forms of exploitative industry (such as open-cut mining), there are provisions for environmentally damaging activities like strip mining, gas exploration/production and broadacre cropping. The Channel Country is an area in south west Queensland, also covering parts of South Australia and the Northern Territory. 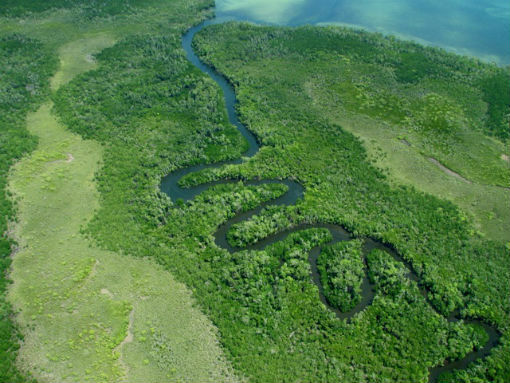 Three protected Wild Rivers run through this region – Georgina, Diamantina and Cooper Creek. Many Channel Country landholders have reacted strongly against the repeal, saying that the weaker legislation is merely opening up the doors for mining companies to exploit the land. South Australia’s Minister for Water and the Environment Ian Hunter has also expressed concern, worried about the impact of the weakened legislation on his State’s water supply. “work with the Queensland Government and traditional owners to pursue World Heritage listing for appropriate areas of Cape York”. But despite promising to protect Cape York during the last election, the QLD Government is now eager to exploit the Cape’s rich mineral wealth and open up the region for resource exploitation. Indigenous communities were divided over the Wild Rivers legislation, many celebrating the repeal. Prominent indigenous figures Marcia Langton and Noel Pearson opposed the introduction of the Wild Rivers Act on the grounds that it removed the ability for traditional owners to make decisions about their land, depriving them of economic opportunities. While there were provisions within the Wild Rivers Act for traditional owners to engage in activities like hunting, fishing, eco-tourism and fire management, large scale development was forbidden. Many Indigenous communities also felt they were not properly consulted during the process. Others have argued that the majority of traditional owners would not agree with large scale development occurring on their land, so supported measures to keep big mining companies out. The Queensland government will argue that the new Act better suits the needs of the Cape’s Indigenous population, allowing economic activity in the region to diversity and grow. But while the government speaks of the need to diversify economic activity in the region, development plans seem to be focused on opening up areas to further mining and intensive agriculture. There is an alternative to the LNP Government’s quick-fix, exploitative model. Conservationists favour working with the land instead of against it, arguing that Cape York can be a world leader in sustainability. Attaining a World Heritage Listing is central to this plan. World Heritage protection is a flexible regime and will not lock away the entire Cape, protecting some areas while other lands are used for culturally and environmentally appropriate economic purposes. It recognises the Cape’s long history of sustainable indigenous land management, and that strong indigenous partnerships are central to any successful strategy. A conservation economy would be central to this strategy. Sadly, anything resembling a conservation economy is far away as the government continue on their “dig it up, cut it down” path of short term economic gain. By removing existing environmental safeguards and opening up sensitive lands to damaging resource exploitation, the Regional Planning Interests Act will fail the marginalised Australians of the Cape.